You’re a video editor, a digital photo collector, a music enthusiast, or better yet, you use a computer—all of you have one thing in common: You’re running out of hard drive space. It’s perfectly natural that you are; nothing to be ashamed about. 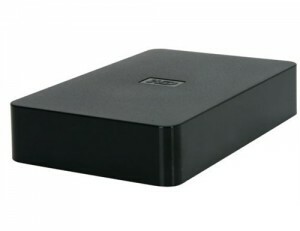 The fact of the matter is that at the rate we’re all going, there just won’t be any hard drive space left faster than you can say “the Mayans were right…” Luckily though, Western Digital’s (WD) 2 TB External Hard Disk Drive (HDD) ($899) prevents that from happening until…well at least until the next apocalypse. Not only will you store more than ever before, but with its 480 Mb/s maximum transfer rate, now you will transfer large files at high speeds like never before. The 2 TB worth of data can store 400,000 photos, 150 hours of video, or 500,000 songs, but Western Digital offers an array of storage sizes ranging from 500 GB to 3 TB, which if you think about it, is much more space than you’re probably used to having. It runs so quiet that sometimes I forget that it’s even on. The only problem I face while using my WD 2 TB HDD is that sometimes my laptop won’t recognize it as a device right away, but I have a feeling that it’s just a problem with my laptop drivers as it has been known to discriminate against some of my other devices. Be careful about picking it up and moving it while it’s running. There are moving parts inside and I can only imagine that this isn’t very safe for the device. If you have to move it, please make sure that the power is off. This device is perfect for those who need some extra storage quick, and with it’s quick transfer rates, you can be on your way in no time. Good luck exceeding your Western Digital Elements HDD before 2012. I’ve had mine for six months now and I have barely even scratched the storage surface. You’ll take pictures of that apocalypse now, won’t you? Of course you will; there’s plenty of space now.